Not literally, though it is the rainy season. 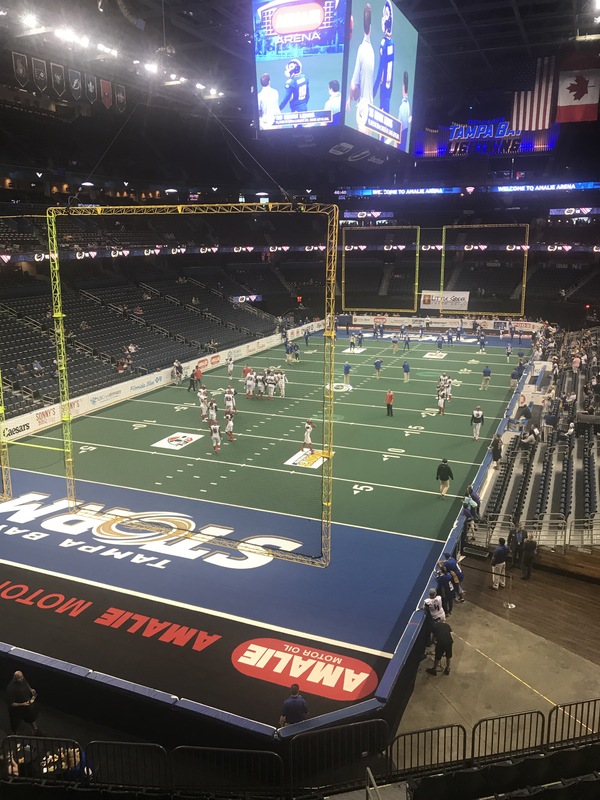 At an arena football game with the family tonight, and the team is The Tampa Bay Storm. 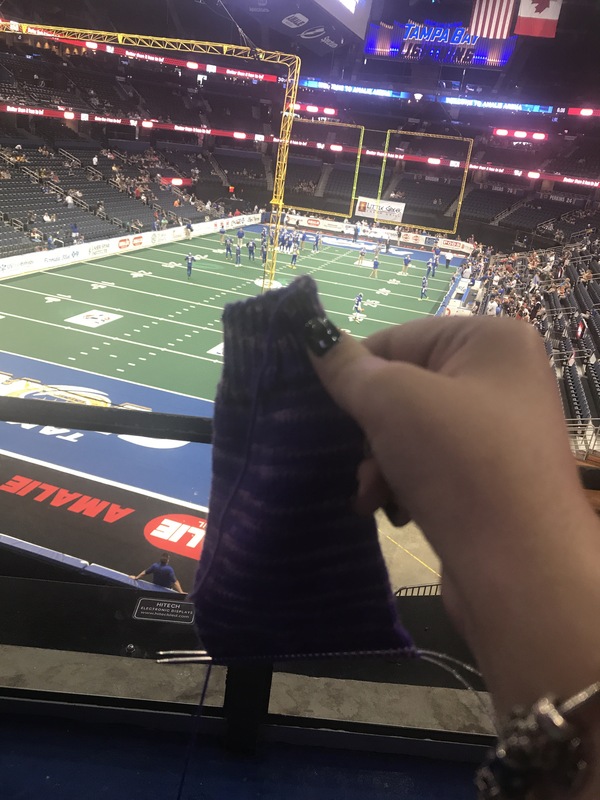 Should be a fun night, even though I know less than nothing about football, I have my knitting though, so I’m all set. 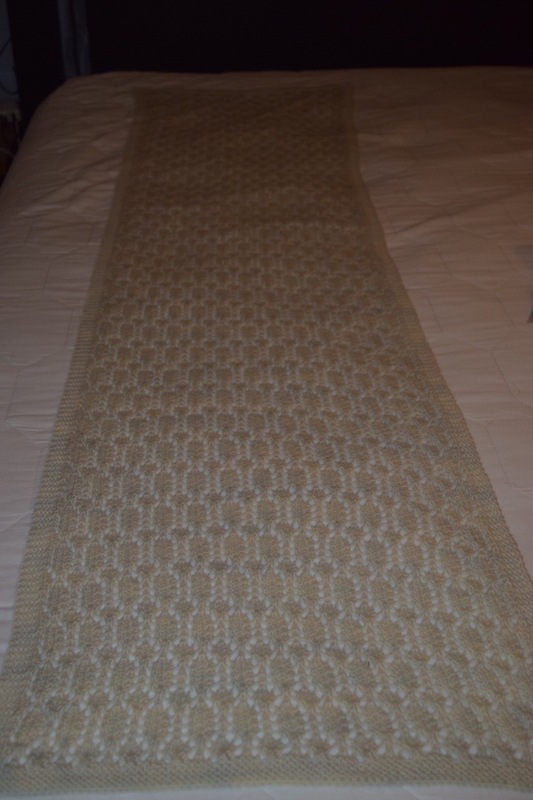 Finally got this blocked today, finished it a couple of weeks ago and it got buried. 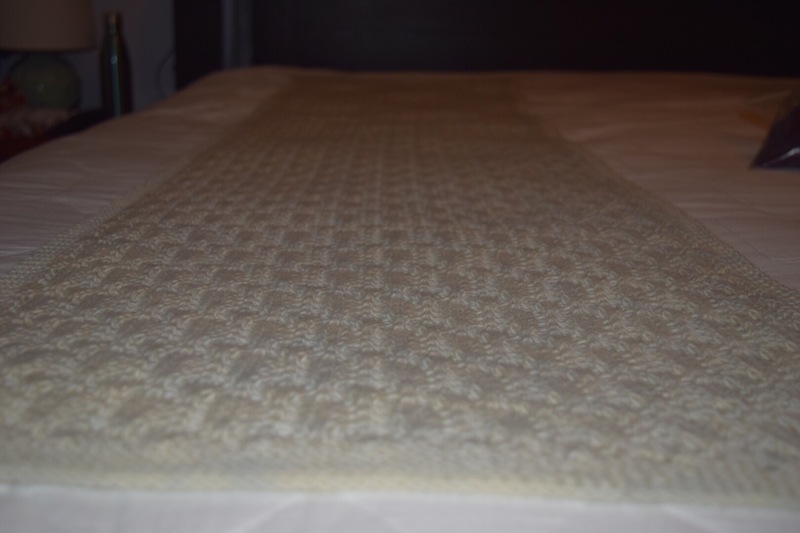 It’s a basic rectangular wrap with a stitch pattern called the spider stitch. Which I won’t be telling my mom given her loathing of arachnids. It’s hard to tell the color, but it’s a socks that rock spirit color, and was spirited from the color blue. 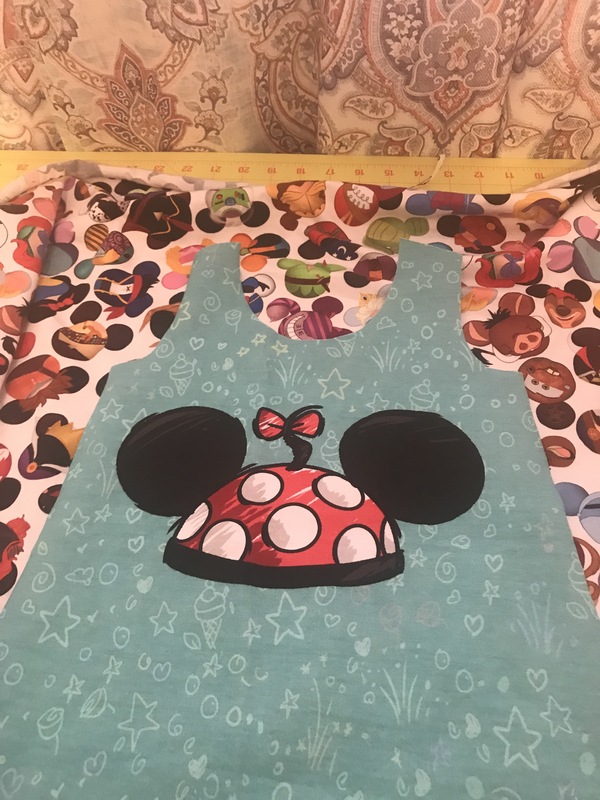 Kind of a disappointing sewing day, minion panel was too small to even get an 18 month tee front out of, cut the back and sleeves before I realized. Threw the whole thing out before I realized I could list the panels on Facebook buy/sell/trade and see if anyone wants them.